Description: Students develop skills and techniques for 3-D design by using tools, materials and processes common to 3-D design to complete a variety of project activities. 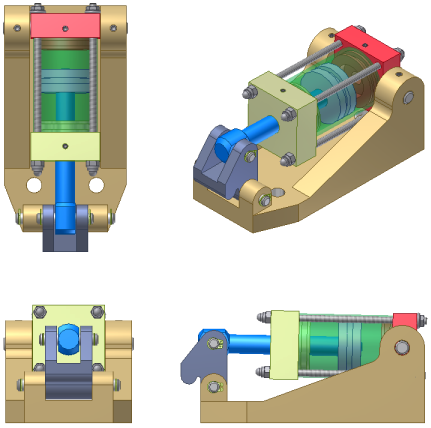 Software: Autodesk Inventor Professional. Free 3-year license here. We will start by watching the Essential Skills Videos together, Overview and Fundamentals. Next, there are 4 tutorials. You will follow the instructions and complete each tutorial. These tutorials are cool in that big red arrows show you exactly where to click, or, if you prefer, each step also has a video you can play that shows exactly where to click and what to do. Make sure you save your completed files to your Home drive. 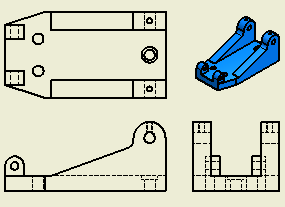 Tutorial 4 – Place and connect parts. ConnectTutorial Files. 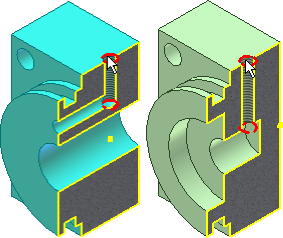 Click here to download the Cylinder Clamp. Be sure to download the .zip file to your H:/ drive, then right-click and extract the files. After the tutorials are complete, we will start our first project – Building a sprocket holder. Making Neon Signs sounds like a cool project.